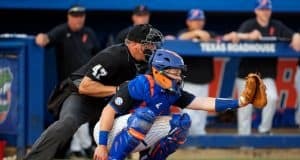 Kirby McMullen's ninth inning pinch hit double was the difference in the Gators 3-1 win over FSU. 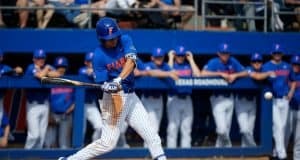 Ole Miss completed the sweep of Florida Gators baseball in Oxford on Saturday. 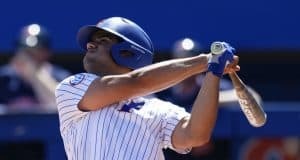 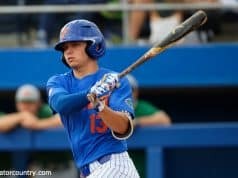 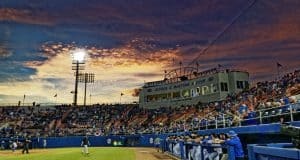 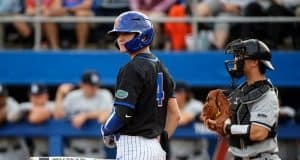 The Florida Gators could not overcome 17 hits from the Ole Miss offense in Friday night's series opener. 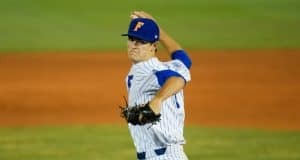 The Gators ended their homestand with a decisive victory over FAMU. 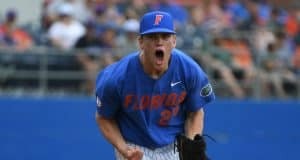 There was no shortage of power in a 12-3 win over Alabama. 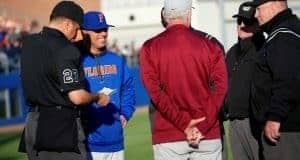 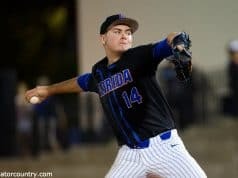 The Florida Gators beat FSU 20-7 in Mike Martin's final trip to Gainesville. 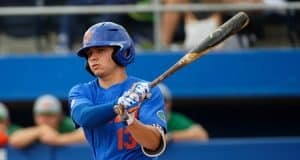 Jud Fabian's two home run day led the Gators to a sweep over Yale. 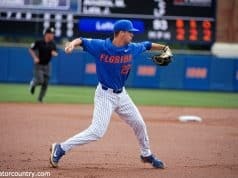 The Gators offense stayed red hot with a 15-1 win over Yale to take the series. 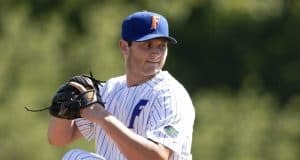 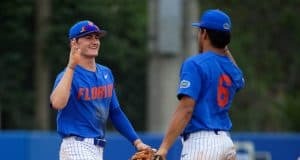 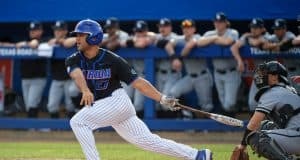 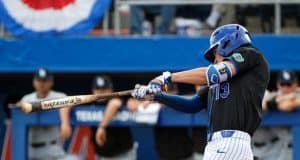 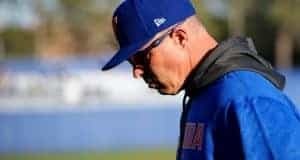 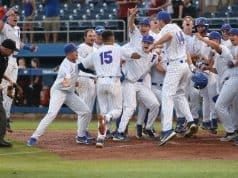 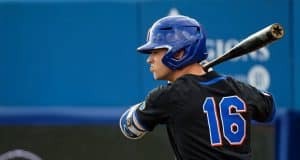 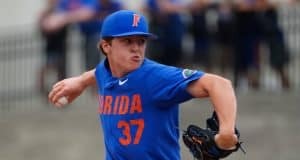 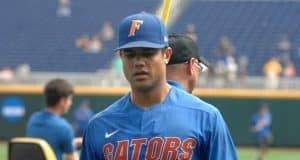 The Gators scored 15 runs Tuesday and have scored 73 in their last 5 games but the real story Tuesday was Nick Blasucci, who waited 730 days and underwent two surgeries between his last two appearances. 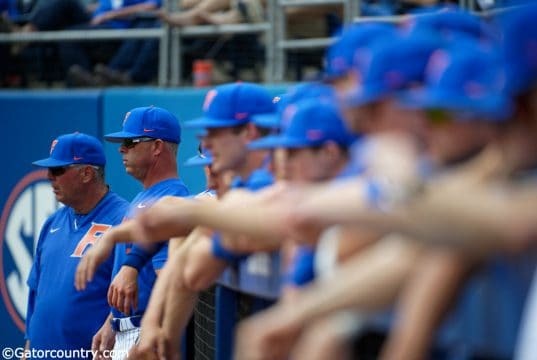 After dropping the opener Friday the Gators stormed back to take the series against Miami. 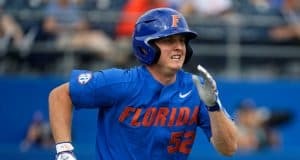 Wil Dalton's three-RBI triple in the seventh inning propelled the Florida Gators to a 9-3 win over Miami.